So much of trading is focused on when to enter a trade. 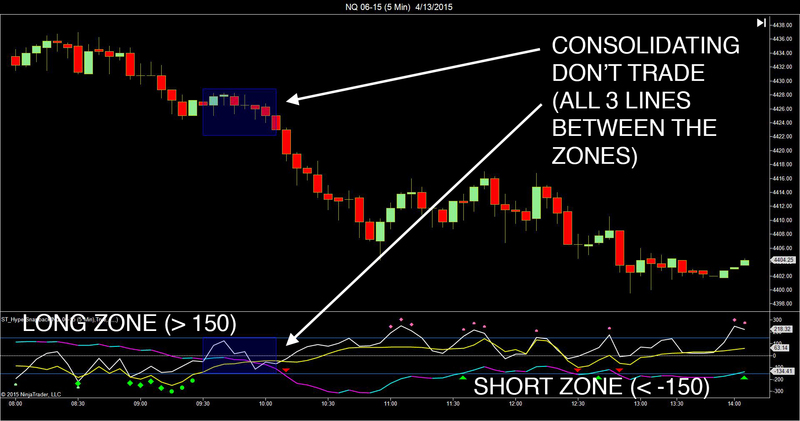 Traders utilize all types of indicators, systems and analysis to try to pinpoint when to pull the trigger. Of equal, or even greater, importance is knowing when not to trade. Yet, this account-saving and profit-making technique is often overlooked. It seems obvious that knowing when not to trade would help save your account. 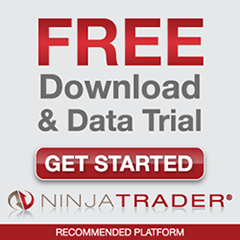 But, how could not trading increase your profits? Let’s use an example. If you made 6 good trades and 4 bad trades today, your winning percentage would be 60%. If you avoided 2 of those trades today, for example, let’s say 1 less good trade and 1 less bad trade, you would have been 5 and 3 today, for a winning percentage of 67.5% That extra 7.5% profit adds up over time. You also could have likely avoided 2 bad trades, in which case your 6-4 day would instead be a 6-2 day, a 75% winning day, an increase of 15%. Indeed, knowing when not to trade can dramatically increase your profits. 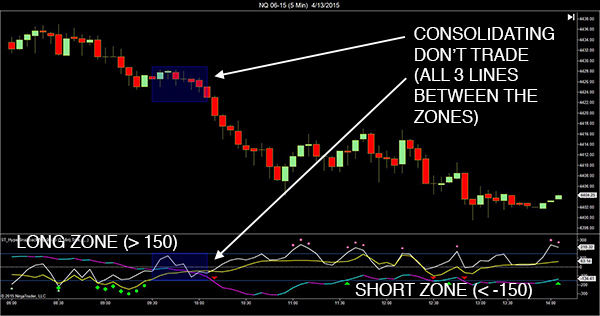 This all begs the question: how do you know when not to trade? Generally, you don’t want to trade against the trend. Even if you’re countertrend trading, you want to make sure there’s a longer term trend (on a higher time frame) you’re trading with. You also shouldn’t trade when price is consolidating or in chop. Specifically, you can use an indicator like the HyperSnapback indicator, which not only gives entry signals, but also shows when not to trade. For example, let’s look at the NQ 5 minute chart from today. Click on the chart to enlarge it. The Trend Line (blue/magenta line) of the HyperSnapback indicator has a Long Zone (> 150) and Short Zone (< -150). But, when all three lines of the HyperSnapback indicator are between the two zones, that means that price is consolidating or choppy, and you don’t want to enter a trade. In the above chart, when the Trend Line enters the Short Zone during the 10:10 candle, indicated by the red triangle down, it is safe to enter a short position. So, keep yourself out of trouble by simply not trading when you shouldn’t be. It’s not difficult once you know how, and it just takes some practice and being consistent. Your trading account will thank you.